Use our elegant Oak Newel Posts with their classic square edged design to finish oak ballustrade for landings, mezzanines and stairs. 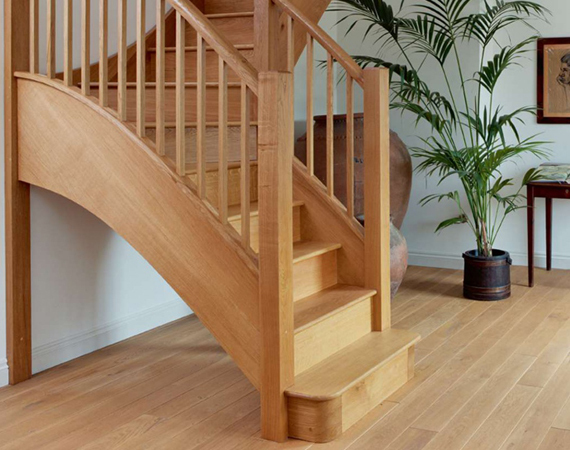 Made to measure in our workshops from carefully selected French Oak they can be supplied to any length up to 4m and are left unsealed to be finished in situ after fitting as you prefer - we recommend our own Broadleaf Hardwax Oil which is easy to apply, quick drying, hardwearing and available in a choice of pretty, natural shades. For an added design detail (or to better hold the coats), enhance your newel posts with our beautiful solid Oak Newel Caps. Half Newels and Half Newel Caps are designed to be used where the ballustrade will meet a wall.